Ms Leong was awarded the scholarship after a rigorous application process that included three rounds of interviews. In 2013, she enrolled for the mechanical engineering undergraduate programme at the National University of Singapore (NUS). It offered her an opportunity to intern in the Mechanical and Electrical Services department under LTA’s Rail/Road Systems Engineering Group. It was there that she built models to simulate airflow in road and rail tunnels in the event of a fire to determine the placement of tunnel fans. It was a great learning experience for her as she got to learn how fan configurations in stations were designed to allow the public to evacuate safely in the event of a fire. After graduating from NUS in 2016, she enrolled in the Master of Science (Mechanical Engineering) programme at Stanford University in the United States, where she pursued her interest in control systems and mechatronics Both degree programmes were sponsored by LTA. Ms Leong’s favourite subjects in high school were physics and mathematics and choosing to study engineering which requires knowledge in these subjects was a natural one for her. One of her university modules, Introduction to Mechatronics, she had to design and build an autonomous robot. Through this project, she learnt how hardware and software need to be integrated for a system to work. 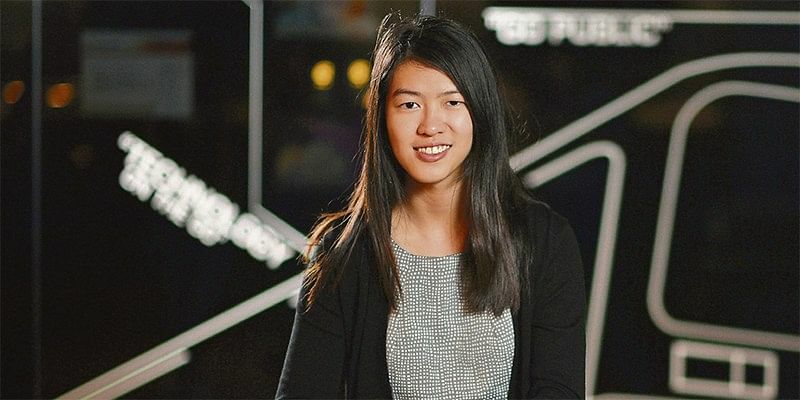 As part of her postgraduate education, she also learnt that during the process of engineering design, other factors, such as the user experience, should be considered as well. Since Ms Leong joined LTA as an engineer in the Systems Assurance & Integration department last September, she has been working on safety and reliability management. She is currently involved in testing tunnel fans. She says: “At the start of a project, we identify potential safety DESPITE his love of visiting exotic new places, Mr Tan Yu Jun’s favourite part of travelling is the return trip home. Even as a young boy, he was held in awe by the wonders of Changi Airport. To the 24-year-old, the airport ran like a magnificent clockwork machine — from the efficiency of its service staff, to the pristine conditions of its marble floors and glass windows, to even the bronzed drops of the Kinetic Rain sculpture in Terminal 1. While these qualities may have remained constant, the airport itself kept evolving. Every time he returned to the airport, new installations graced its atriums, and new faces greeted him with broad smiles. It was this fascination with the airport that eventually inspired him to take up a scholarship with Changi Airport Group (CAG). “During my junior college days, I researched everything there was to know about Changi Airport Group,” he recalls of his time in River Valley High School. “I knew that I wanted to be a part of this incredible organisation that was internationally renowned for being the best.” His efforts paid off. 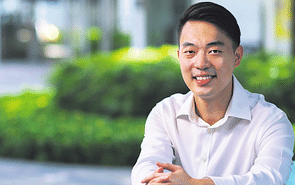 Mr Tan fought his way through a gruelling selection process to become one of the few recipients of CAG’s coveted scholarship, before finally being a part of the organisation that he had dreamed of joining for so long. Sometimes, having a dream come true can lead to disillusionment. But Mr Tan’s passion for his work was only further ignited after joining CAG. During the internships in various positions in the organisation — such as enterprise risk management, as well as day-to-day operations in the newly unveiled Terminal 4 — he was only further enthralled to see how each piece of the Changi Airport machine fit together. These valuable insights gave him a newfound appreciation for CAG’s unflagging efficiency and its dedication to its customers. “For CAG to succeed as a company, we must understand the purpose of our work, and constantly think from the perspective of our target audience,” he says. “Without understanding the purpose and what our target audience would get out of the projects, we would no longer be serving our customers, but only ourselves.” But what he appreciates even more than CAG’s passion for its customers is its passion for its own people. From passengers, to airport partners and employees of the organisation, Mr Tan believes that everyone is valued in CAG. “Everyone is dedicated to working closely with our partners to achieve joint successes, and colleagues genuinely care about improving the experience of passengers coming to Changi,” he says. Most importantly, this culture of caring extends to nurturing talent and employee selfimprovement. Aside from sponsoring his master’s degree in Management at the London Business School, CAG also sent him on an overseas trip to Hong Kong and Shanghai to learn more about Chinese business culture. Still, while Mr Tan knows that his future is in good hands, he is also aware that a challenging job awaits him. “It is important to remain humble, and have a drive for continual improvement and excellence, as the aviation industry is constantly evolving,” he says. “Changi faces strong competition from airports all around the world, so we need to constantly push ourselves to explore new ideas and improve.” After completing his postgraduate degree, he hopes to join the airport operations team to get a better grasp of Changi Airport’s daily goings-on. “It would give me an opportunity to interact with passengers and airport partners, develop a deeper understanding of their experiences and needs, and identify areas where we could further improve on.” Still, it seems like there might be slightly more to his motivations, evident from the twinkle in his eye. After all, as part of Changi Airport’s vaunted operations team, he can finally lay claim to being one of those genius artisans behind that beautiful clockwork machine that first captivated him so many years ago. risks posed to the operator and end users based on the nature of the projects. “Then we follow up to ensure there are adequate mitigation measures protecting concerned parties from risks as far as possible,” she says. When a project is completed, her team does a review to ensure the risks, if any, are addressed. At LTA, its scholars go on a job-rotation exercise so they get to gain experience in different departments to learn the various aspects of what the organisation does. This may include areas outside engineering, such as policy and planning. Ms Leong appreciates that the scholarship has given her more exposure to the industry. “Having the opportunity to understand the non-engineering considerations behind the system allows me to develop more holistically as an engineer,” she says.